After your first contact with us, we’ll arrange an initial meeting. At this meeting, our custom home builders will consult with you in-depth in order to fully understand your requirements. If you already have plans drawn up, we’ll go over these and discuss your land specifications and budget. Alternatively, our custom home designers can work with you to design a modern, high-value home to match your vision. Building a new home can feel like a daunting prospect, so during this meeting, we’ll make sure to explain each step of the process to you in full. This ensures you understand exactly what to expect and can feel more in control and involved every step of the way. The cost of building a home depends on many factors, including your location, the layout of your land, the number of storeys, and your chosen fixtures and finishes. Based on the information you shared during our initial meeting and your existing plans (or the design we’ve created for you), we’ll provide a budget estimate for the construction of your new custom home. Our years of experience mean we know the right questions to ask to ensure we provide you with a realistic figure. After your deposit fee is paid, our custom home builders will commence with site meetings, prepare preliminary plans, and engage a geotechnical engineer. Working with you, we’ll make any necessary adjustments to your drawings so they capture everything you need. This is a crucial step to ensure your new custom home really will be your dream home – and that it’s perfectly suited to your block of land. Once you’re happy with your plans, we’ll agree on a final design and complete your drawings. With your plans finalised and ready to go, you’ll receive a detailed “Statement of Cost”, followed by a formal, fixed-price contract to build. To ensure a quality outcome for you, we use Master Builders Queensland Residential Building contracts. By clearly laying out exactly what you will receive for the contracted amount, your contract will give you greater certainty and peace of mind. Like every other step of our consultative process, the selection stage is centred around you and your dreams. Our interior designer will work with you to select the finishes and products that will make your house a home. By taking care of selections at this point, you can more easily make informed decisions about your chosen finishes with full awareness and control of your budget. Your interior designer will guide you through everything that needs to be done, offering expert assistance and ensuring you consider every area that requires your attention, from the finest details to the most prominent features. You may be funding the construction of your new home with a financial loan, or you may be self-funded. Whichever option you choose, we have the right contracts and processes in place to cater to your chosen payment method. After you’ve signed the contract and received building approval from the relevant authorities, it’s time to build. Throughout the construction stage, we’ll continue to work closely with you and provide regular updates on our progress to ensure you’re completely happy. You’ll also be invited to regular site inspections. This gives you the opportunity to ask questions, feel more involved in the process, and watch your dream custom home come to life right before your eyes. With construction completed and everything in order, the moment you’ve waited for has arrived – it’s time to move into your dream home. Handover and moving can be an extremely busy time, so we understand that minor issues may be missed on your final inspection. That’s why our team will be in contact to follow up and ensure we address any issues that were missed. Our six-month maintenance warranty provides further peace of mind and confirms our confidence in the quality of your new home. If you want to turn your dream home into a reality, our Brisbane custom home builders would love to work with you to make it happen. At Munro Designed Homes, our custom home builders & other team members work closely with you to tailor your home to your lifestyle & preferences. Having lived and breathed the building industry for much of his life, Chris is passionate about building beautifully-crafted, quality, custom homes that delight their owners. He’s also committed to personally working closely with all our clients. 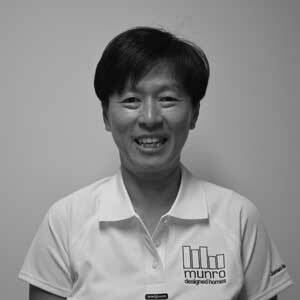 Yohanna leverages her 20+ years’ experience in the building industry as she oversees estimation and sales for Munro Designed Homes. Calm and professional, Yohanna enhances your MDH experience with consistent, transparent communication. 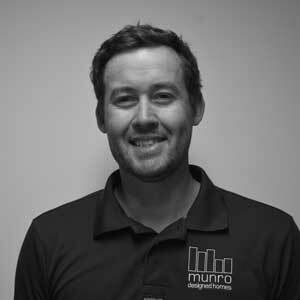 Luke’s time with Munro Designed Homes began in 2010 when he joined us as an adult apprentice. 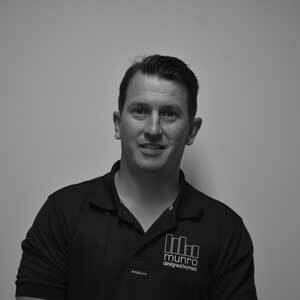 A valued member of our construction team, he now acts as our carpentry supervisor and his knowledge and experience help bring your designs to life. Building custom homes individual to each client and their needs isn’t always black and white. At MDH, we pride ourselves in being thorough in the process and do not compromise on quality. If you do have a budget set in stone, please discuss with our team and we will work with you to create a home that meets your financial needs.